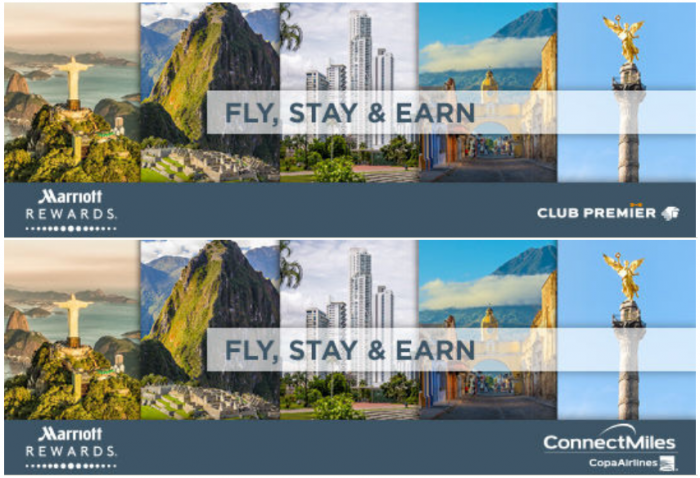 Marriott Reward has launched new bonus miles promotion for Copa ConnectMiles or AeroMexico Club Premier member stays at participating hotels in the Caribbean and Latin America. Members can earn 500 to 2,000 bonus miles per minimum two night stay (depending on the brand) between October 15 – January 15, 2018, when making the booking using promotional code MR6 and booking the associated rate. You can access this offer on Marriott’s website Copa (here) and AeroMexico (here). Note that you must elect to earn miles instead of Marriott Rewards points to participate this offer. These are bonus miles that you earn in addition to the base miles for your stay. AeroMexico Club Premier members will see the number of miles converted to kilometers at 1.6 ratio before posted to their accounts. Marriott Rewards has launched this same offer previously for Air Canada Aeroplan (read more here) and Alaska Airlines Mileage Plan (read more here) member stays. I would say that Alaska miles are the most valuable of these four. Minimum 2 night stay required. Only available at participating Marriott Rewards hotels. Reservations must be made directly with Marriott. Bookings via third-party online retailers such as Expedia® or other wholesalers are not eligible. To be eligible for this promotion, members must select a participating airline program’s miles as their earning preference in their Marriott Rewards profile. Miles will be posted based on the airline earning preference set by the member at check-out. Upgraded rooms and family rooms may be available at a limited number of properties and will attract a supplement. VAT, city taxes and other taxes may be additional, please check individual hotels for more information. Airline bonus miles have no cash value and cannot be converted to cash or refunded if unused. Supplements may apply if more than 2 occupants per room and rate will be subject to availability. Bonus miles cannot be substituted for Marriott Rewards points. Guest must book reservation using promotional code listed above in order to receive bonus miles. Offer applies to one regular room per stay, per member on dates listed. A “hotel stay” or “stay” means all consecutive nights spent with Marriott by a registered Marriott Rewards member. Offer not available during special events; tax is additional; special offers cannot be combined; blackout dates may exist; advance reservations are required. Offer does not apply to groups of 10 or more rooms. Marriott International has the right to change or cancel the program at any time. Marriott International and its affiliates reserve the rights to discontinue this promotion at any time. For complete terms and conditions of the Marriott Rewards program, visit www.marriottrewards.com.